Low-fat chocolate milk is back! Recently, the U.S. Department of Agriculture announced that schools can now serve low-fat (1%) flavored milk in school lunches, breakfast and snack programs. Now, school meal programs have a greater opportunity to provide the nutrition students need in a choice they want. The average flavored milk available in schools today has about 122 calories (only 25 more than white milk) and about 55 percent less added sugar than flavored milk 10 years ago. Studies have shown that flavored milk contributes only about 4 percent of added sugars to kid’s diets, and health and wellness authorities have noted that some added sugars can be included as part of healthy eating patterns to help increase consumption of nutrient-rich foods, like dairy. Flavored milk has the same nine essential nutrients as white milk, including three of the five nutrients of concern – calcium, potassium and vitamin D – that children don’t get enough of, and is an invaluable source of key nutrients during a child’s growth and development. Kids like flavored milk better: A recent study shows that children in nearly 75 percent of the schools surveyed preferred the taste of low-fat chocolate milk over other milk options. Studies also show kids consume less milk when flavored milk isn’t on the menu. According to a 2017 study, kids age 2-18 who drank flavored milk, such as chocolate, drank more milk overall and were more likely to meet calcium recommendations than kids who did not drink flavored milk. Past research has also shown that, in general, kids who drink flavored milk have better quality diets, do not have higher intakes of added sugar or fat, and are just as likely to be at a healthy weight compared to kids who do not consume flavored milk. As a mom, I know that it can be hard to get kids to eat healthy foods that provide essential nutrients and vitamins. Whether at home or at school, low-fat chocolate milk delivers “stealth health” with a taste that kids love and a nutrient package parents can feel good about. 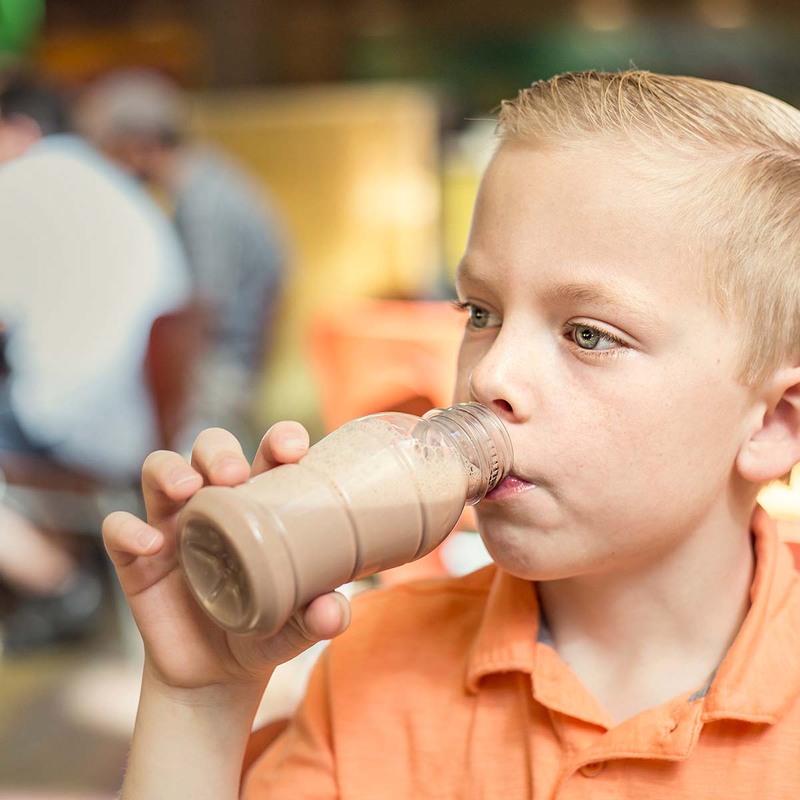 To find out if your local school offers low-fat chocolate milk, contact your school district’s child nutrition department. Melissa is a registered dietitian and certified lactation counselor who grew up showing farm animals in 4-H. She has a deep appreciation for everything that goes in to food production and is passionate about ensuring no child goes hungry. Learn more about Melissa. Do Adults Need to Drink Milk? Does Plant-Based Mean Better for You?